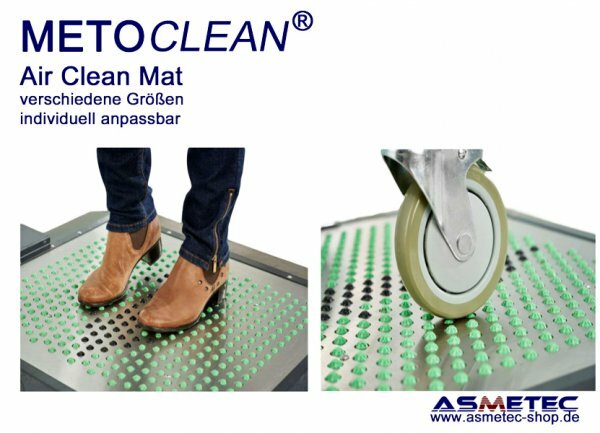 METOCLEAN Air Clean Walkmats use vacuum to effectively clean the bottom of all types of footwear and the wheels of equipment (up to 600 lbs.) - removing tracked-in particles, hair and debris. 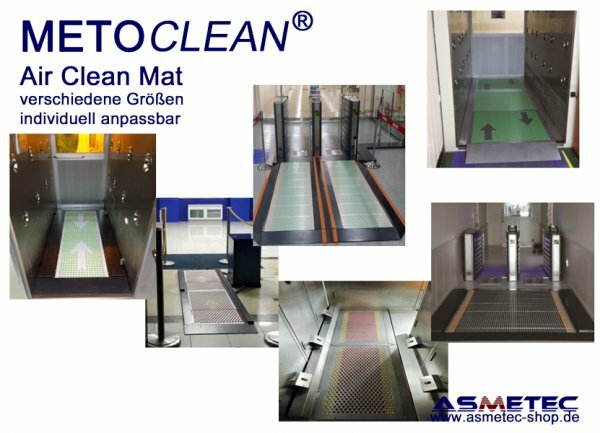 Retractable balls on the surface of the mat engage the vacuum only when pressed down by a shoe or equipment maximizing effectiveness and saving power. HEPA-filtered air is returned to your clean space–far cleaner than before! Within one day, 90% of of 1-5 micron particles are removed. Up to 90% of sub-micron particles are removed within a few days. Removes over 90% of 1-5 micron particles with a day of installation. Removes up to 90% of sub-micron particles within a few days. 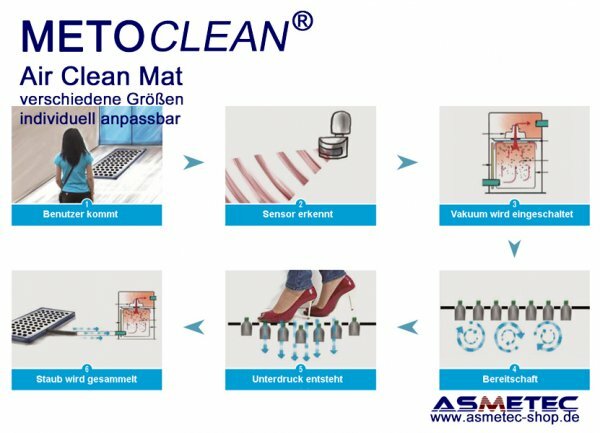 Removes hair follicles from the bottom of shoes and booties—other floor mats do not. Reduces germs and allergens from the air. 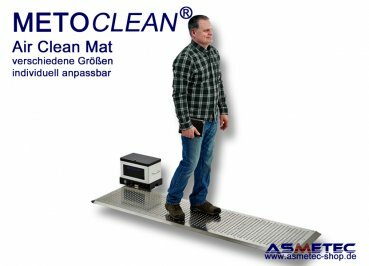 Can handle cart weights up to 600 lbs and cleans the wheels as the cart rolls across the mat. Easy to install and requires little or no maintenance. Can be embedded in the floor.